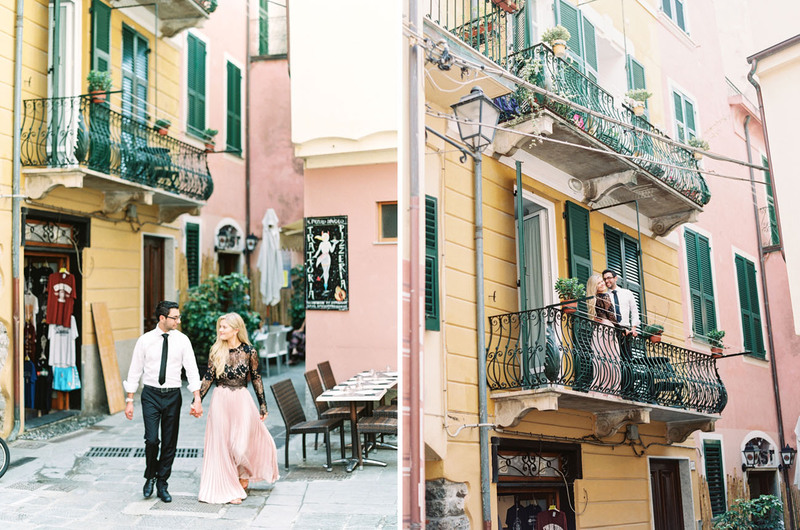 When Monica + Chaz met with their photographer, Lauren Fair, they tossed around a couple of ideas before having a lightbulb moment of meeting up in Italy during the summer. For them, there was no other place but Italy! Chaz shares Shortly into our first year of dating, Monica and I took a trip to Italy where we rented an apartment in the charming downtown Trastevere. We fell in love with the people, the culture and, of course, each other. 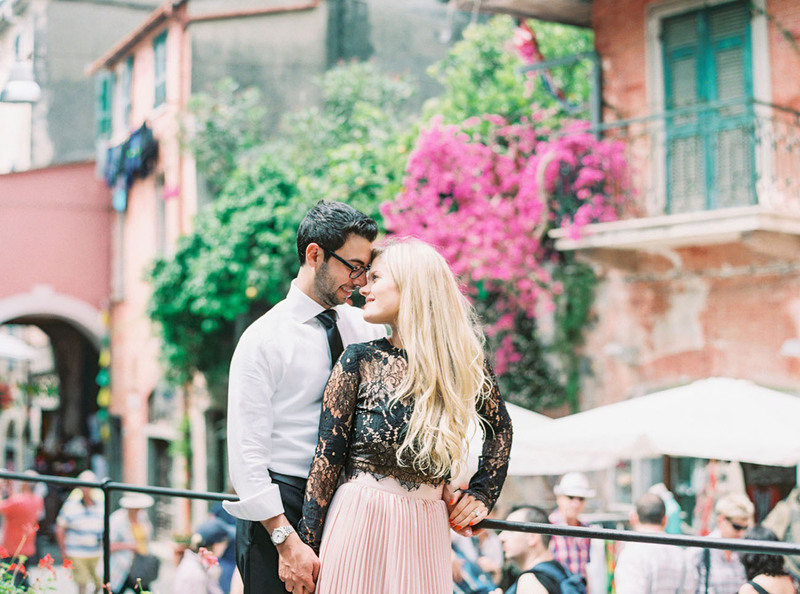 We have been fortunate enough to return to Italy every year thereafter and it has become a truly special part of our relationship. Approaching our fifth year together, we received an invitation to a friend’s destination wedding to be held in… where else? Italy. The timing was perfect to ask the love of my life for the rest of our lives. Romance in the air and wine for lunch… she would have to say “yes”! Brace yourselves, guys, there’s more to the story… Keep on reading! Our trip to Italy was all set for July and would coincide with my 29th birthday, even better! With help from my family, Monica began planning a surprise birthday party to be held the week beforehand. On a casual Saturday night, I walked in the door to find a room packed with family, friends and Monica grinning from ear to ear “SURPRISE!”. Caught totally off guard, I took a moment to realize what just happened and to thank everyone for their love. In particular, I had to thank Monica for her love. “Monica, you were the first and the only girl to whom I’ve ever said ‘I love you’ … and I want to keep saying it for ever. A proposal in Italy would have been great, but this was THE moment, it had to happen now. I got down on one knee and, to everyone’s surprise, presented Monica with a fake cupcake. Monica opened the cupcake to find an engagement ring. She cried, said yes and, amidst the chaos, she failed to notice that her family had unexpectedly appeared in the doorway behind her. This wasn’t a surprise birthday party for me, but actually a surprise engagement party for everyone. When the moment is right, right?! And then, they went to Italy! What a way to celebrate!! 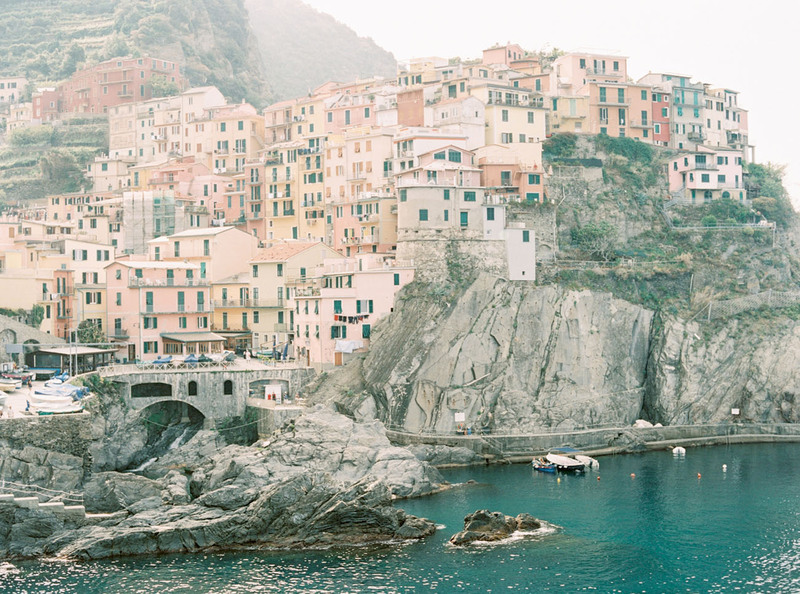 The morning started in Manarola — what some call the most picturesque of the five towns — and then they made their way back to Monterosso al Mare to capture the bright blue waters, distinctive coastline + streets. 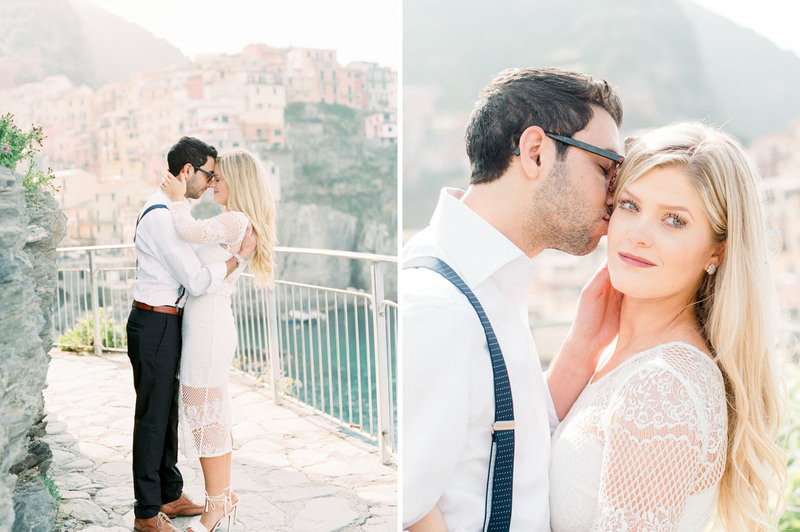 Monica’s gorgeous outfit made the beautiful Italian landscape pop even more! A peachy pink skirt + a matching wall… Too perfect!! 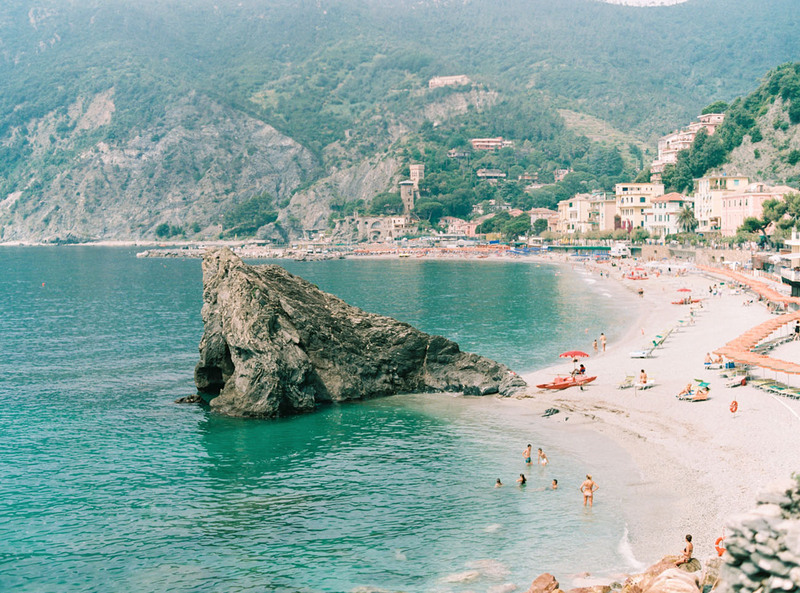 Now who’s up for a trip to Italy? Amazing photos! You are so cute! Beautiful! Gorgeous photos! Congratulations to you both. And this is why I love Italy so much! !